Informative, vivid and richly illustrated, this volume explores the history of England's northern borders – the former counties of Northumberland, Cumberland, Durham, Westmorland and the Furness areas of Lancashire – across 1000 years. The book explores every aspect of this changing scene, from the towns and poor upland farms of early modern Cumbria to life in the teeming communities of late Victorian Tyneside. In their final chapters the authors review the modern decline of these traditional industries and the erosion of many of the region's historical characteristics. 1. 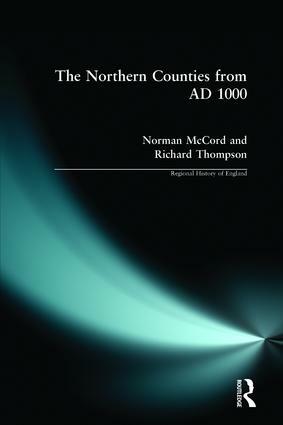 The Early Medieval North. 2. Early Medieval Society in the North. 3. The Later Medieval North. 5. The Church in the Late Medieval and Tudor Periods. 6. Northern Society and Economy. 7. After the Union of the Crowns. 11. Coal-Mining and Related Developments. 12. Other Aspects of the Regional Economy. 16. Transport, Agriculture and Services. 19. Post-War Economic and Social Problems. 21. After the Second World War.